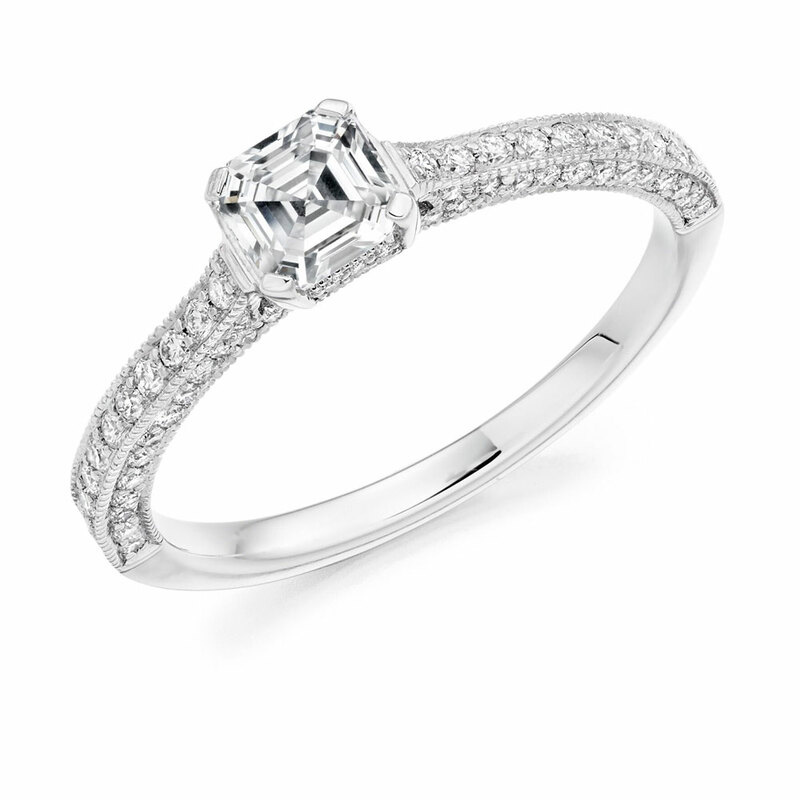 Featuring a central asscher cut diamond, this engagement ring is beautifully completed by a diamond set band. Most noteworthy on this style is the micro-pave set diamonds, adorning all three sides of the band. Separated by millegrain edges, this ring can happily be paired with a plain or perfectly matching band. Do you love this style but would like to make a modification? Did you know that we have over one thousand styles to choose from? Ranging from simple, floral details to twisted bands, we have something for you. At Voltaire Diamonds, we offer a special, personalised service so that we can assist you to find the ring you have always dreamed of. Please contact our office on 01-6778449 or info@voltairediamonds.ie to book your consultation in our relaxed Dublin based offices, just off Grafton Street.